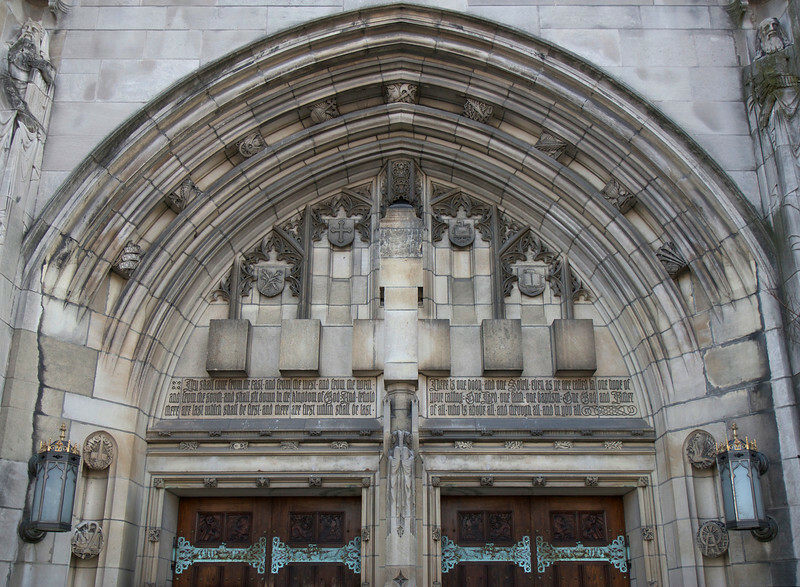 The front of the church above the entrance reads in heavy Gothic type "They shall come from the east and the west and from the north and from the south and shall sit down in the Kingdom of God. And ??? ??? are last which shall be first and ??? are first which shall be last. There is one body and one Spirit even as we are called in one hope of your calling. One Lord one faith one baptism. One God and Father of all who is above all and through all and is in you all."